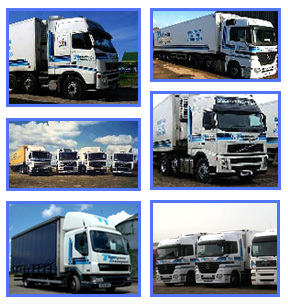 Alan Thompson and his wife Sheila founded Thompson Transport around 1974 in Barnsley, South Yorkshire. With a farming background, Alan began by delivering potatoes to the wholesale markets. This was followed by a chance foray into frozen food distribution at a later date. This led to the beginning of Thompson Transport as it is today. Sheila was no stranger to the transport business. Her father Emanuel Mason, was a Director of the Rotherham based Mason Bros, with a fleet of around 100 trucks serving the then booming steel industry around Sheffield, with a depot also in East London. With the introduction of both his sons into the business in the early 1980s, Thompson Transport began to grow into the modern distribution fleet now being operated. The company and farm is still run as a family concern. With the partners available at all times to discuss your requirements.